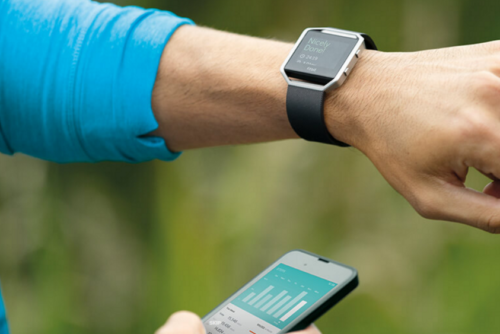 HOME / Blog / Are Wearables Good For Your Health? In a report to the United Kingdom’s House of Lord’s Select Committee on the Sustainability of the NHS, the Institute and Faculty of Actuaries (IFoA) proposed that “new technologies should be investigated to encourage healthier living to reduce demand for NHS services and create efficiencies in the healthcare system.” In healthcare, technology, such as wearables, provides opportunities for monitoring lifestyle behaviors, such as physical activity and diet, and management of health conditions through biometrics, such as blood glucose, blood pressure, heart function, and medication levels. It also provides detailed data to a level of prevision that has previously not been accessible such as quantifying the intensity and duration of physical activity and sleep. Health companies offering virtual care, such as Health Tap and Vitality Health’s Vitality GP, provide services at a time and place that is convenient for the user and can potentially lead to considerable cost savings by avoiding unnecessary clinic visits. Technology companies have increasingly moved into healthcare, with companies such as Apple offering financial incentives for improved healthy lifestyle behaviors. There is growing evidence to back the use of technology to improve healthy lifestyle behaviors. One of the largest reviews that included more than 200 individual studies of internet and mobile interventions, found that internet interventions improved diet, physical activity, adiposity, tobacco use, and excess alcohol, and mobile interventions improved physical activity and adiposity. However, the authors further concluded that future studies are required with longer durations of follow up beyond 12 months to evaluate sustainability, as well as greater consistency of the intervention content and intensity. Other smaller trials have not always shown that wearables lead to improved health outcomes, however. One randomized controlled trial of 800 individuals found that at 12 months, use of an activity tracker was more effective at sustaining physical activity than in the control group, but no improvements were demonstrated in weight, blood pressure or quality-of-life. Another randomized controlled trial of less than 500 individuals conversely found that use of an activity tracker resulted in less weight loss over 24 months compared with the standard behavioral intervention, although both groups had similar improvements in body composition, fitness, physical activity, and diet. The reasons for these contradictory findings in studies that are otherwise well-designed may be that the way in which individuals interact and respond to such technologies remains poorly understood. They may be likely to be different to more ‘conventional’ treatments, rendering them unsuitable for investigation using conventional research study designs. Future studies should be sufficiently powered to identify who in the population is likely to benefit from the use of wearables, consider intermediate markers of health other than BMI (which does not provide the most timely measure of improved body composition), have longer-term follow up beyond 12 months, and ideally incorporate novel means of obtaining real-life data. Does research demonstrating the effectiveness of a wearable impact your decision to use a fitness tracking device? Let us know by Tweeting @VitalityUSA.